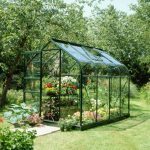 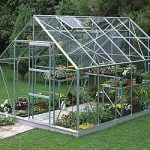 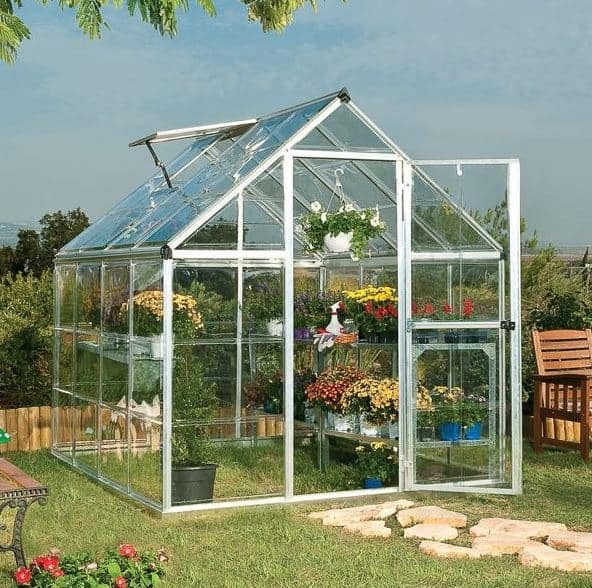 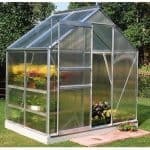 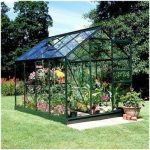 This 6 x 8 silver polycarbonate greenhouse is a great place for you to store and cultivate your plants. 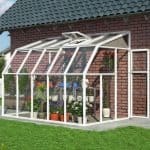 There are many features that help it to stand out but the opening window in the roof is a very good aspect, in that it allows you to carefully manage the climate in the building. 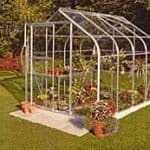 The polycarbonate covering does a lot of good work too, because it stops UV rays from entering the building, and it is entirely shatterproof too, so it is much safer than conventional glass.